H. Robert Horvitz received the Nobel Prize in Physiology or Medicine in 2002. 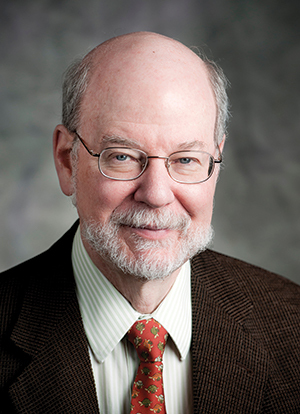 He is the David H. Koch Professor of Biology at the Massachusetts Institute of Technology (MIT); an Investigator of the Howard Hughes Medical Institute; a neurobiologist at Massachusetts General Hospital; a member of the MIT McGovern Institute for Brain Research; and a member of the MIT Koch Institute for Integrative Cancer Research. Horvitz received BS degrees in Mathematics and in Economics from MIT. He performed his graduate studies at Harvard University in the laboratories of Drs. James Watson and Walter Gilbert and received his PhD in Biology in 1974. Horvitz then joined Dr. Sydney Brenner as a postdoctoral fellow at the Medical Research Council Laboratory of Molecular Biology in Cambridge, England. Since 1978, Horvitz has been an Assistant, Associate and Full Professor in the Department of Biology at the Massachusetts Institute of Technology. His research involving C. elegans has helped define evolutionarily conserved molecular genetic pathways important in human biology and human disease, including the pathway responsible for programmed cell death, or apoptosis. Horvitz is a member of the Board of Trustees of the Massachusetts General Hospital and is Chairman of the Board of Trustees of the Society for Science & the Public. He was President of the Genetics Society of America. He has served on many editorial boards, visiting committees and advisory committees and has received numerous honors. Horvitz has been a consultant to pharmaceutical, biotechnology and venture capital companies. Dr. Horvitz joined the Society's Board of Trustees in 2007.